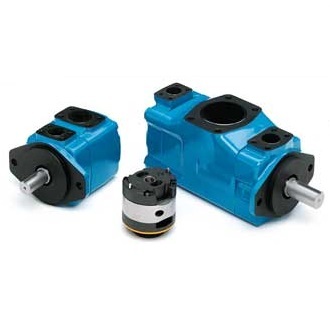 BV Series Fixed Displacement Hydraulic Vane Pumps for Industrial Applications. Versatility, power, compactness and low running costs are the main characteristics of B&C hydraulic vane pumps. 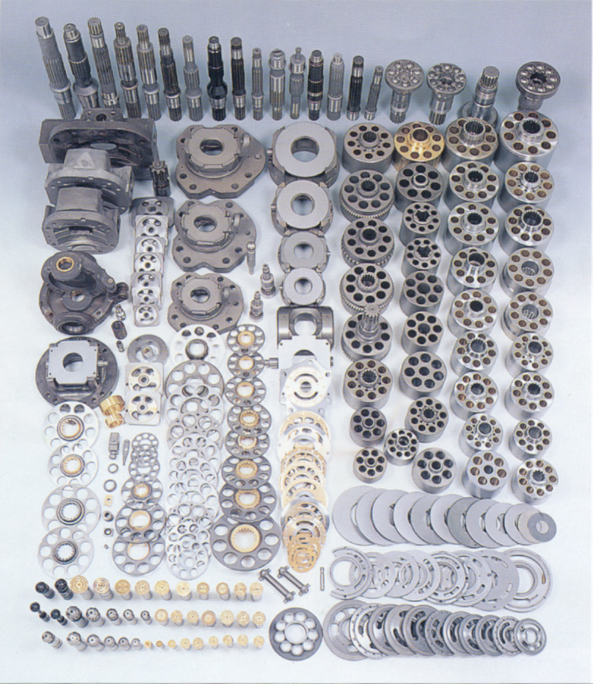 All the components subject to wear are contained in a cartridge unit that can be easily removed for inspection and/or replacement without disconnecting the hydraulic pump from the circuit, drastically reducing expensive machine down time. The cartridge contains a rotor, vanes and inserts, a cam ring and two covers. During operation the rotor is driven by a splined shaft coupled to the drive unit. As the rotation speed increases, centrifugal forces, in combination with the pressure generated behind the vanes, push the vanes outwards, where they follow the profile of the cam of the ring with a sufficient contact pressure to ensure adequate hydraulic sealing. The two opposed pumping chambers formed by the elliptical profile of the cam cancel out radial loads on the shaft bearings, thereby giving them extremely long lifetimes. The versatility of the BV series fixed displacement hydraulic vane pump enables them to meet the requirements of the most varied industrial applications. In fact, as well as their proven high reliability and excellent volumetric efficiency in all working conditions, they operate with particularly low noise levels. This is made possible by the special profile of the cam ring and the use of a 12 vane rotor that reduces the amplitude of the supply pressure pulses, thereby reducing induced vibrations (see drawing). The BV series is available in four versions of single pump (from 8 to 230 L/min at 1200 rpm) and six versions of double pump (from 55 to 370 L/min at 1200 rpm), with maximum powers of over 300 HP. The BV series pumps are extremely compact and are supplied with ISO norm mechanical couplings and SAE norm hydraulic fittings. This makes them very easy to install and guarantees their interchangeability with other similar pumps. Versatility, power, compactness and low running costs are the main characteristics of B&C vane pumps. All the components subject to wear are contained in a cartridge unit that can be easily removed for inspection and/or replacement without disconnecting the pump from the circuit, drastically reducing expensive machine down time. The cartridge contains a rotor, vanes and inserts, a cam ring, two flexible plates and two covers. During operation the rotor is driven by a splined shaft coupled to the drive unit. As the rotation speed increases, centrifugal forces, in combination with the pressure generated behind the vanes, push the vanes outwards, where they follow the profile of the cam with a sufficient contact pressure to ensure adequate hydraulic sealing. The two opposed pumping chambers formed by the elliptical profile of the cam cancel out radial loads on the shaft bearings, thereby giving them extremely long lifetimes. The design characteristics of the BQ series pumps make them particularly suited to applications in the mobile field. The special design of the flexible plates enables any thermal expansion in the rotor to be compensated for and to adequately cope with any sudden change in pressure.Furthermore, the counter-pressure chambers positioned between the flexible plates and the cartridge covers balance the internal pressure; this ensures that the correct clearance between the rotor and the flexible plates is always maintained so guaranteeing maximum volumetric efficiency (see drawing). The BQ series is available in five versions of single pump (from 8 to 230 L/min at 1200 rpm) and seven versions of double pump (from 55 to 370 L/min at 1200 rpm), with maximum powers of over 300 HP. The BQ series pumps are extremely compact and are supplied with ISO norm mechanical couplings and SAE norm hydraulic fittings. This makes them very easy to install and guarantees their interchangeability with other similar pumps.